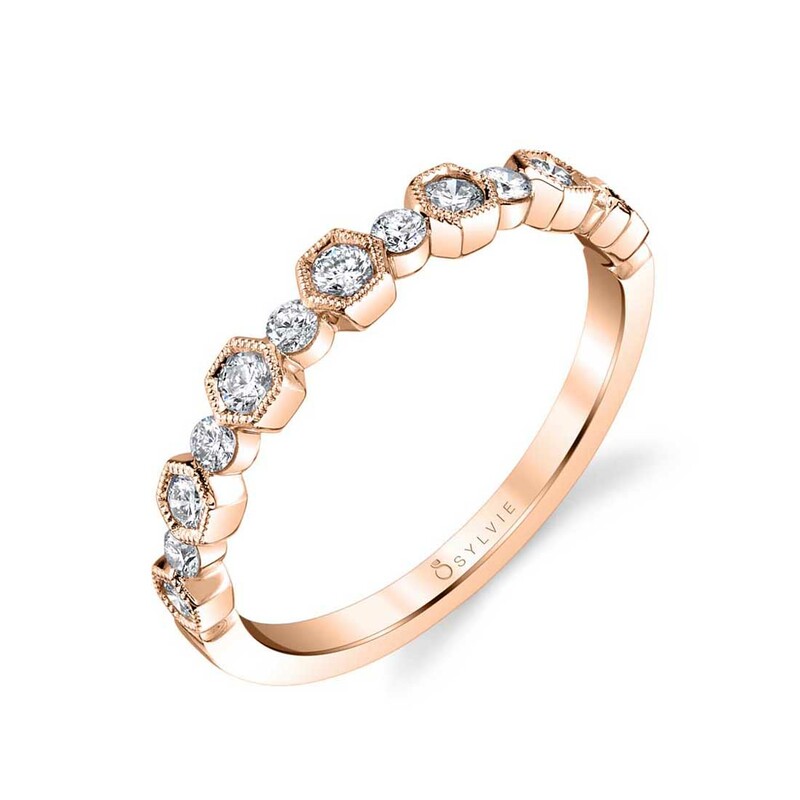 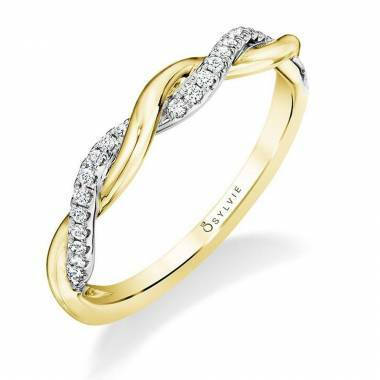 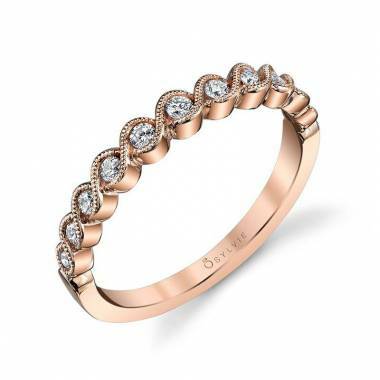 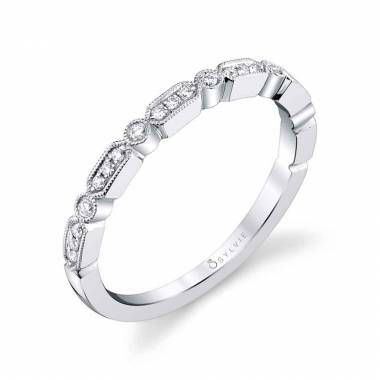 Following one of the hottest trends in fine jewelry, this modern stackable band will look great on its own or matched with your Sylvie engagement ring. Designed with alternating hexagon and round shapes that each contain mixed sizes of dazzling round diamonds, this ring features a total weight of 0.34 carats. 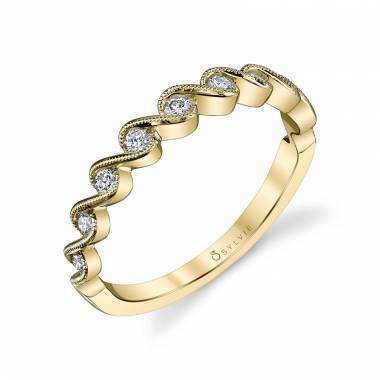 Stack this enticing modern wedding band with other colors of stackable bands for a unique and trendy mixed metal look.